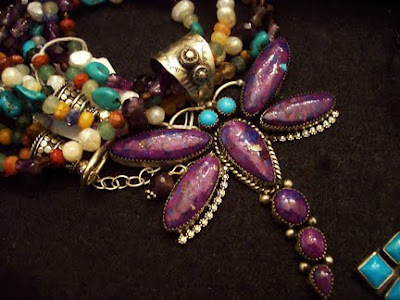 Rocki Gorman Kingman Turquoise laser-dyed purple dragonfly. One of our favorite pieces! 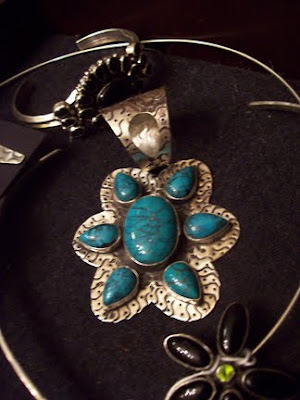 Beautiful with the mother earth multi-strand necklace. 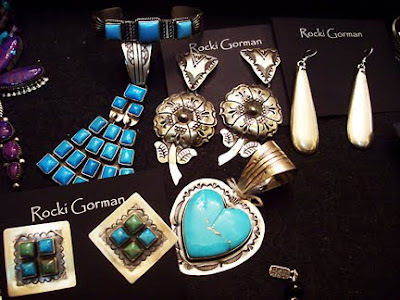 Rocki Gorman Kingman Turquoise....pendants and sterling stamped earrings.